British referendum votes to leave the EU – is the EU in danger of being torn apart? Is the EU in danger of splitting up now that Britain has voted to leave (Brexit) in its referendum? 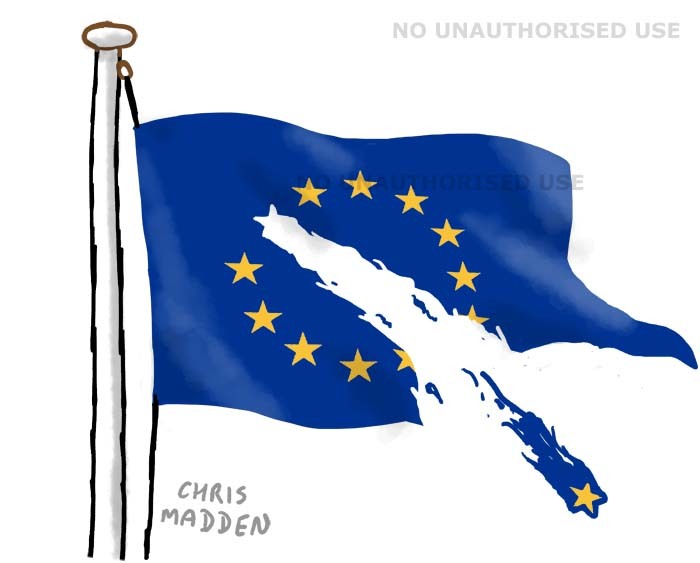 The cartoon shows an EU flag being torn apart as one of the stars leaves the circle of member nations. Will other member nations vote to leave, especially if they elect nationalist right wing governments?